This two wide modular drawer carts includes (6) 5" high and (2) 11" high roller bearing drawers that are 14" wide x 23" deep. All drawers have 20" roller bearing slides with a 75# capacity each. Steel drawers have a simple bolt together design which will allows drawers to be added to or reconfigured at any time. All drawer units include (4) 4" swivel locking casters and push handle for easy movement when necessary. 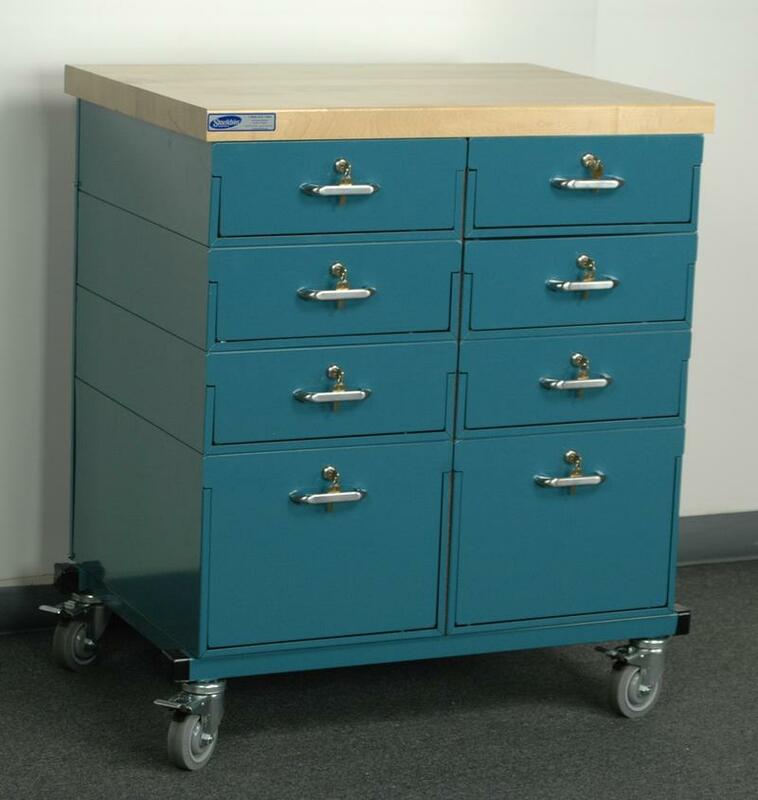 All modular drawer carts offer the choice of maple, plastic laminate, or steel worksurfaces.